The following unit comes from a family of three and has always been under GE service contract. The probes are near perfect and have no visible drop out. Abdominal, Transvaginal and 4D probes are available as well. The unit was manufactured in 2010 and is BT10 software. DICOM is enabled and the machine is available with or without 4D. 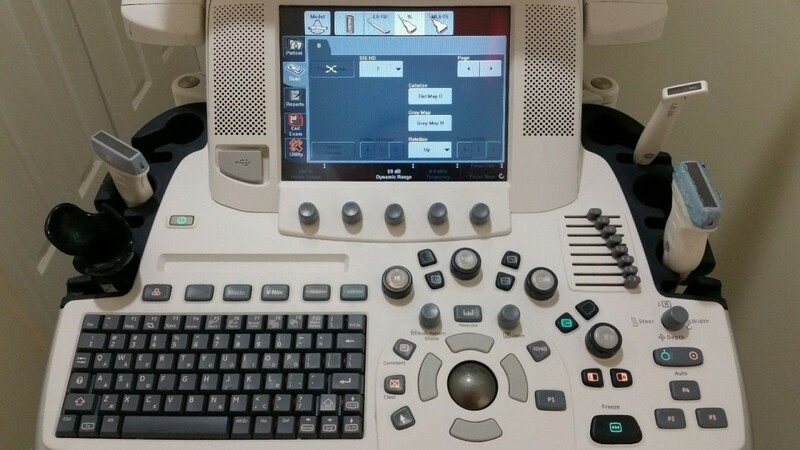 Click the button below to add the Ge Logiq E9 Ultrasound Machine. MSK, Vascular 9L-D, ML16-15-D, L8-18i-D to your wish list.